WHAT KINDS OF LEADERS WILL YOUR STUDENTS BECOME? You took this job so you’d have the opportunity to really develop students into leaders who have the capacity and desire to influence others with their talents and strengths. You want to make a difference; you want to impact lives and shape the campus. But, the urgency of tasks and the sheer overload of programs and activities always wins. At several points during the year you probably wonder: Is this really working? Could I be doing more? Do I have what it takes to develop student leaders? 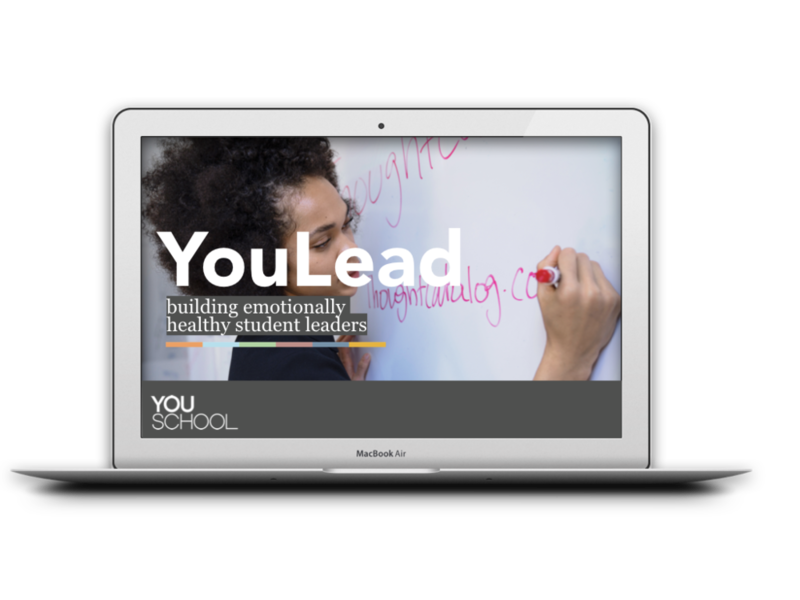 That’s why we created YouLead: An Emotionally Healthy Student Leadership Program. What do we mean by emotionally healthy leaders? We know ASB teachers and Activities Directors want to see students grow in those qualities, but the heavy load of programs and tasks too often gets in the way. The important conversations can't compete with urgent demands. We designed YouLead to save you time, not add anything to your plate. We also designed it so you can look back year over year and see development and progress in the things that matter most: students hearts and minds. Digital YouLead course: The digital course guides students over the summer to reflect on their leadership role models, leadership motivation, develop their own development plan for the year and sit down with a leadership mentor for a conversation we provide structure for. We aim to have students do this over summer away from the busyness of school so they walk into the year ready to go. A retreat agenda: build trust, community, teamwork, and objectives for the year. Weekly lesson plans: focused on monthly themes delivered through slides (10-15 min/week). You the teacher could run these lesson plans or rotate through your student leaders and use it as a development exercise for them. Monthly podcast episodes: corresponding to the monthly themes to send to parents and offer to students who missed the lesson or make available to the entire student body. What if you could keep running the programs you have to run and ALSO see the kind of growth and personal development in your student leaders? What if you could look back year after year and KNOW you made a big difference? Get in touch with us and explore how to best implement YouLead in your context. Thank you! We’ll respond as soon as possible.